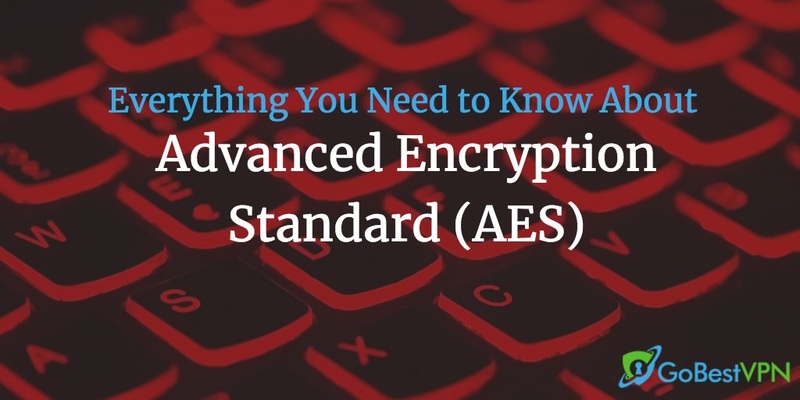 Advanced Encryption Standard (AES): What Is It? The Advanced Encryption Standard (AES) is a symmetric cryptographic algorithm that was established by the U.S. National Institute of Standards and Technology (NIST) back in 2001. It is a specification for the encryption of electronic data and is a subset of the Rijndael block cipher that was created by Belgian cryptographers. 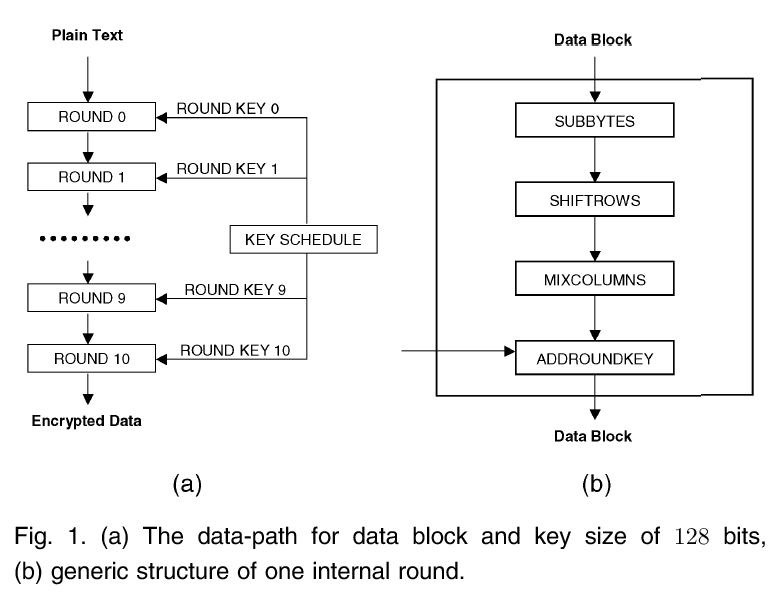 NIST selected three different ciphers to include in AES with block sizes of 128, 192, and 256 bits respectively. It is 256-bit (and sometimes 128-bit) AES that is commonly seen included with VPNs. Today, AES is widely used by corporations, governments, and government agencies around the world, including the U.S. government, to secure data and transmit it without fear of it being compromised. It is by far one of the most, if not the most notable cryptographic algorithm in use today. Using Rijndael, a family of block ciphers with different key and block sizes, AES securely encrypts information. It is a cipher block chain, a mode of operation for a block cipher, that uses an initialization vector. A key characteristic of AES is that it uses a chaining mechanism that depends on all preceding blocks of ciphertext. If there is a single bit error, subsequent blocks and thus the information itself can’t be decrypted. That’s Great… But What Does It All Mean? Unless you have a background in computer science or cybersecurity, you are unlikely to understand anything that has just been said. Don’t worry, though—we are going to completely cover AES here and give you a much better understanding of it! What is AES and Why Was It Developed? What is AES Commonly Used For? What is a Symmetric Algorithm? What is an AES Cipher? 1. What is AES, and Why Was It Developed? AES was developed to replace its predecessor, DES—Data Encryption Standard—that was originally developed by IBM in the 1970s. However, the version that was widely adopted worldwide involved the National Security Agency (NSA)’s consultation. It was then modified by the National Bureau of Standards (NBS) and published as the Federal Information Processing Standard in the U.S. Despite concerns about the NSA’s involvement and the short key length (56-bit), DES was used as the standard cryptographic algorithm for over 20 years. But in 1999, a public collaboration between the Electronic Frontier Foundation and distributed.net broke a DES key in 22 hours and 15 minutes, proving its vulnerability. In the end, it was Rijndael, developed by Vincent Rijmen and Deamen, that came out on top thanks to its speed, security, versatility, and computational workability. In 2001, the NIST announced its official adoption and renamed it as AES. Using a symmetric block cipher algorithm means AES ensures the safe and secure storage of data. Compared to its predecessor DES, it uses much longer key sizes (128, 192, or 256-bits) and double the block size (64 vs 128-bits). To give you an example of just how secure AES is, it is used by the NSA to guard classified information up to the ‘Top Secret’ level (192 or 256-bit keys). 2. What is AES Commonly Used For? It is completely free to use AES for both public or private use, as well as commercial or non-commercial use. Because of this, AES is widely used and has several applications across numerous industries. AES is commonly (but not always) used within VPNs for the encryption of web traffic through a tunnel between your public network connection and an encrypted network that is operated by the VPN service provider. Quality VPNs such as the ones we list in our homepage all use AES 256-bit encryption as the standard whereas some others opt for AES 128-bit usually for speed (still strong, but not as good) or more outdated encryption methods such as IKEv2 or PPTP (not secure!). All the VPNs featured on our top 10 list use AES 256-bit encryption and NordVPN opted to stop development on outdated encryption standards. If you’re using a VPN, always check to see what encryption method and protocol is being used. If it’s not at least AES 128-bit, you should consider using a different provider. We always recommend using a VPN that uses AES 256-bit encryption through the OpenVPN tunneling protocol. If you use one of the later versions of Windows, your computer will have the BitLocker disk encryption feature to keep your hardware secure. For Mac users, the equivalent is FileVault. Both these programs encrypt your files with the AES cipher. File encryption is very useful for protecting documents with sensitive information, e.g. passwords. If your computer or drive is ever compromised, this information will remain secure. Since AES is free to use, you can also use open source software such as AES Crypt to encrypt specific files. You don’t even need to know how it works! The software takes care of it for you. You may have noticed that the URL of the website you’re visiting starts with HTTPS rather than HTTP. 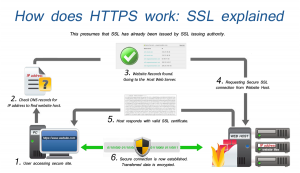 You may also know that HTTPS is more secure, but not really know why. Basically, HTTP is a protocol used to send data from the website to your browser and vice versa. HTTPS is a more secure version of that. 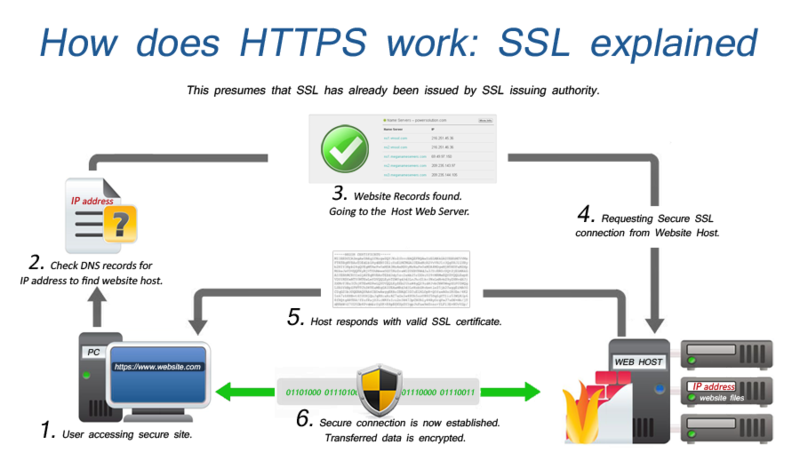 The ‘S‘ in HTTPS actually stands for ‘secure.’ Straightforward, right? Most websites now secure their visitors’ data using HTTPS as opposed to HTTP to keep all interactions safe and encrypted. This is especially the case with banking and shopping sites that communicate more sensitive information. 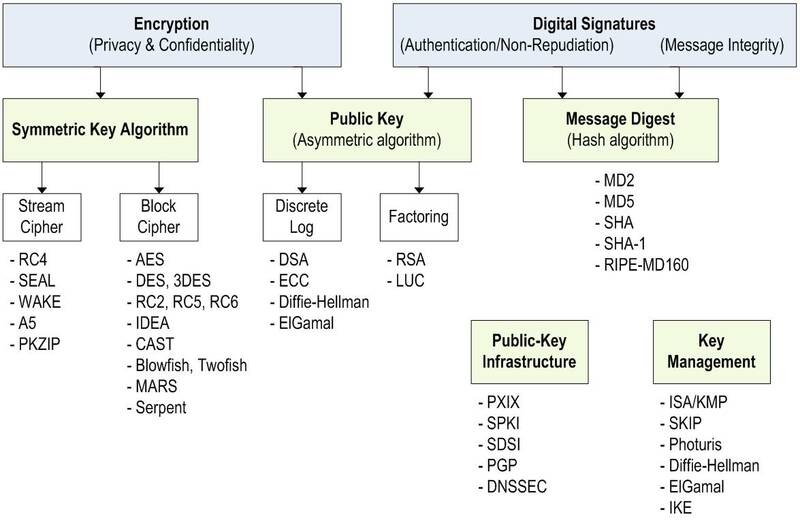 As you can see, in the first stage, an asymmetric key is used to encrypt the connection using the TLS protocol in most cases, or the older SSL protocol. After this, the connected parties exchange a symmetric key like AES to encrypt the rest of the data. So every time you browse online, this complicated exchange happens without you noticing it! When data, files, and other information are transferred over an HTTPS connection, it is almost always the case that AES encryption is being used to secure your information from man-in-the-middle hackers and other third parties. 3. What is a Symmetric Algorithm? We mentioned earlier that AES is backed by a symmetric-key algorithm—this means that the encryption key used to secure the data is the same one used to decrypt and reveal it. In comparison, asymmetric algorithms use a ‘public key’ for encryption and a paired ‘private key’ for decryption. There is much debate surrounding whether this symmetric algorithm is less secure than an asymmetric one. Indeed, an asymmetric algorithm could be viewed as inherently more secure because their private keys are not distributed. The reason that AES uses symmetric algorithms is that they require less computing power than asymmetric keys. This makes them a whole lot faster than their asymmetric cousins and therefore better for wide use both publicly and privately. 4. What is the AES Cipher? It is the AES cipher that makes AES encryption so secure. Briefly, a cipher refers to any code or algorithm used to encrypt and decrypt text. We’re probably all familiar with the book cipher, where you write a coded message where number corresponds to a specific page of a book. During WWII, the Germans used another kind of ciphering system called the Enigma to encode communications. This was ultimately broken by Alan Turing – there’s even a movie about it called The Imitation Game! So when we talk about the AES cipher, we’re talking about a block cipher, which encrypts, decrypts, and transmits information across a fix-length group of bits (called the block) using a binary sequence. As a block cipher, the algorithms encrypt data on a block-by-block basis. These blocks are measured in bits and determine the input and output of plain and ciphertext. So, for AES 128-bit encryption, for every 128 bits of plain, regular text, 128 bits of ciphertext are outputted. When encrypted, data can be decrypted using the same key as the one that was used for encryption. The more rounds that are needed, the higher the computing power is needed to do it. This is why 256-bit encryption is a lot stronger than 128-bit. Your message forms the first block. Your key is expanded with a key expansion. A round key is added. There is a byte substitution. Start again from 3–another round key is added. This goes on for 10, 12, or 14 rounds depending on whether the data is being encrypted with 128, 192, or 256-bits. Although it looks like complete gibberish, the output is the result of your message going through several different mathematical operations for 10, 12, or 14 rounds. To decrypt it, we simply go through the same process but in reverse using the symmetrical encryption key. 5. Can AES Be Broken? Naturally, there are growing concerns surrounding whether or not AES can be broken and whether the theoretical attacks that could break it are becoming a reality. So is it yet time for the security industry to move on to an alternative cipher? Well, the short answer is that we don’t know yet. We live in an uncertain world that is growing more and more unpredictable as it becomes more and more digitized. As computing power continues to increase at a staggering rate, existing ciphers such as AES become increasingly more subject to the possibility of being broken. Although AES is robust and is good enough right now, it may not be forever. It is likely that AES will one day be successfully attacked and broken. Until this time, however, there is little point moving to an alternative cipher—this will be broken, too. Keeping existing encryption methods secure is a constant game of cat and mouse, just like fighting computer viruses is. But so far, AES has proven to stand the test of time (it’s now in its 21st year) and AES-256 has even resisted quantum attacks. 6. Why Does This Matter to You? Although you don’t need to know the ins and outs of cryptography, encryption, and AES itself, it is a useful thing to have some basic knowledge. After all, it’s AES encryption has and will continue to protect you online for many years to come, whether you’re participating in online transactions, simply browsing, or protecting your privacy with a VPN. Whether you’re disturbed by third-party advertisers mining your online activities to sell their products, wary of a phishing scam, or simply want to protect your data, you want an encryption method and tunneling protocol that completely protects you. This is what a VPN that uses AES alongside OpenVPN does. Browsers and web applications are the easiest targets for hackers, data harvesters, and eavesdroppers. They provide lots of useful and contextual information about you and your online activity. If this gets in the wrong hands, it can be dangerous. Identity theft and account hijacking are just two of the many potential dangers when you use the internet unprotected. In our digital world and your modern way of life, it makes sense to protect your data whenever and however you can. We live in an age of government censorship and attempted suppression of Net Neutrality. It is in your best interests to keep your data out of the hands of your ISPs, many of whom are in the pockets of governments. When surfing the World Wide Web make sure your browser displays the HTTPS URL and logo – most browsers will indicate this with lock symbol in the address bar. Check that your computer uses AES encryption software like FileVault or BitLocker. Use a VPN service that uses AES-256 bit encryption for any sensitive online activities. With the growing concerns among consumers regarding privacy and cybersecurity, it makes sense to not only use an extra security measure like a VPN to protect yourself online but also have a basic knowledge of the processes and systems that these services use to ensure your protection. As one of the strongest, most usable, and most scalable encryption method currently in existence, AES is here to stay for quite some time. It’s used by government entities and major corporations to protect top secret information, sensitive trade secrets, and proprietary information. It is also used by regular people such as you and me to keep our information secure over public networks, protect our bank details when transacting online, and locking down sensitive files on our computers. Although it is likely that one day AES will be broken and replaced by something else, this is not something that is on the horizon yet and you can continue to find comfort in the knowledge that when AES is being used, particularly its 256-bit iteration, you won’t compromise your information and data.